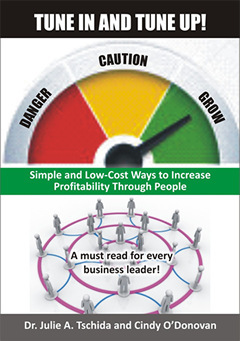 Are you successful in finding and retaining the right people? We can help improve your odds. One unmotivated employee can affect your entire operation. Protect your investment by helping them give you their best. unlock the full potential of your business? Right4 Your Business is a Twin Cities based consulting firm with business and human resources expertise. We are located in the Minneapolis / St. Paul area of Minnesota and serve clients nationwide. have difficulty finding good workers? have a revolving door of employees? Our talent acquisition strategies can help! having difficulty finding and connecting with employers? seeking a job transition opportunity? Our job search strategies can help! We give you the right solutions to get the right results for your business. A bad hire can cost thousands of dollars in time, money, and lost productivity. And if you need to fire, there may be additional cost implications. 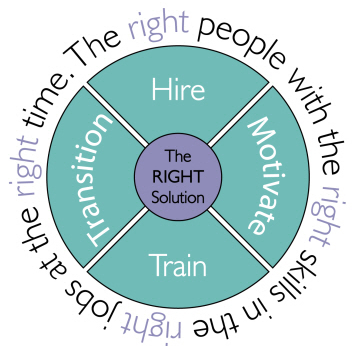 Are you successful in finding and retaining the right people, with the right skills, in the right jobs, at the right time? You have invested a lot in finding the right employees. Are they excited to come to work each day? Do they meet your expectations? Are they helping your business grow? Are they giving you their best? Every interaction your customer has with your business creates an impression. Do your employees create positive impressions? Do they know your business? Are their skills current? Can they accomplish their jobs efficiently and effectively? Change is inevitable, yet 70% of change initiatives fail. Is your business positioned to respond to changes in competition, regulations, supplies, and market conditions? Are your employees flexible, adaptable, and responsive to change? If you must make changes with your employees, do you know how to do them right to protect your business reputation?